Signs and Symbols is located in Gateway Plaza outside the Humanities Building on the Olympic College campus, Bremerton, Washington. 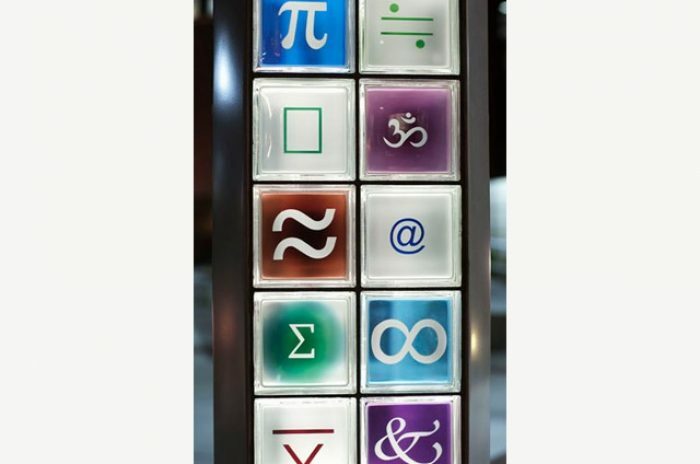 Customized glass blocks incorporating the signs and symbols commonly used within the humanities disciplines were the inspiration for the sculpture. 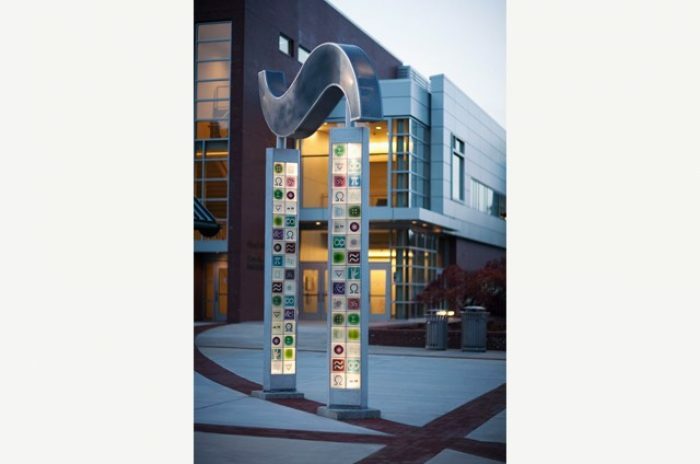 M3 provided the structural design for the gateway sculpture. 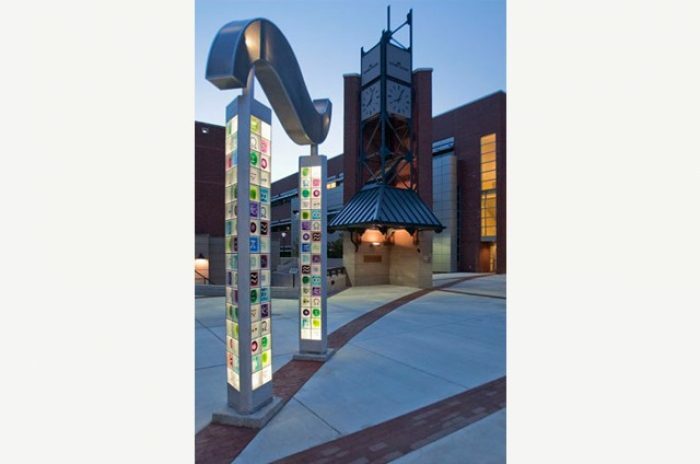 The structure consists of two 12 foot high triangular columns filled with glass block that support a “tilde” symbol fabricated of an aluminum angle frame covered in perforated aluminum plate. The triangular columns have custom built aluminum corners which create the frame for the glass block. Thin aluminum straps are used as reinforcement within the glass block mortar beds to tie the three custom corner columns together. The columns are illuminated at night, highlighting the designs of the glass block. Due to high seismic loads, a large concrete grade beam foundation is required to support the artwork. Many challenges were encountered throughout the analysis process including severe seismic loads, welded aluminum properties, and thermal expansion differences between the glass block mortar and aluminum frame.